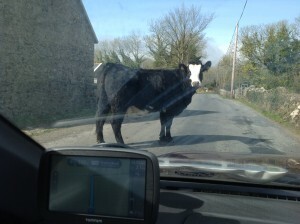 An interesting weekend of weddings….on Friday in Co. Clare we had to negotiate with a cow who was rather gleefully obstructing the road up to the church. There’s not a great deal you can do about this except wait for the bovine in question to decide to allow you pass; explaining that we had a wedding to sing at certainly had no discernible effect on the creature’s sympathies. In the end she thought of somewhere else she had to be and we made it to the church in Rath in plenty of time to set up for Michelle & Richard’s wedding. 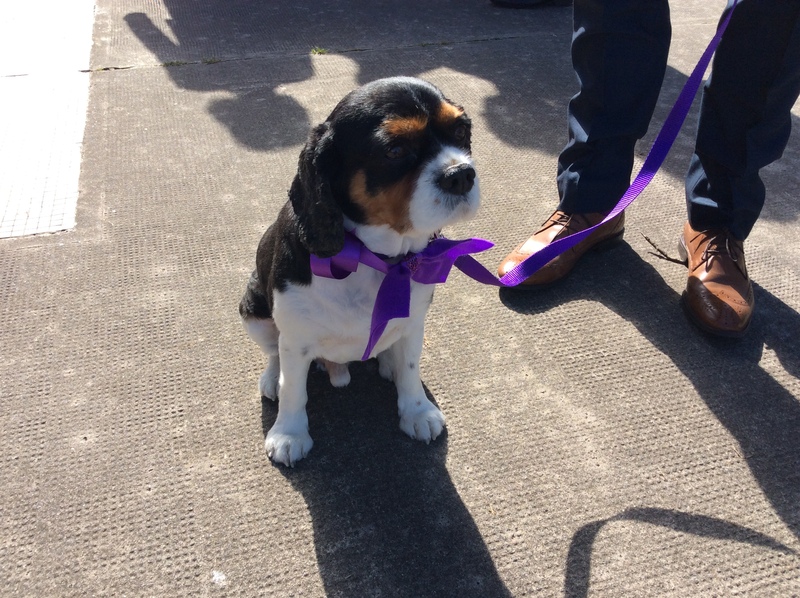 Saturday’s wedding also featured a rather splendid member of the animal kingdom….the bride and groom’s dog, an usual but very charming addition to the wedding party. We thought he looked rather dapper in his wedding attire.